Edit note: I am publishing my drafts. Enjoy this one from 2014. I do not know where the images are for this post, which is why I kept delaying publishing. Wear again? I doubt so, but I may be able to modify it to something that can be worn? Total Cost: Less than $10. I think that the fabric was either purchased on clearance or I was able to get it from my Mom during one of her fabric purging sprees. The interfacing was left over from a previous project. I am super in love with all things steampunk and we have been watching Farscape on Netflix. It is only natural that as a result, Mr. Uncommon Geek has requested that I make him a Steampunk Peacekeeper outfit for use at local steampunk events as well as various conventions and possible photo opportunities. The first step is to find the appropriate pattern. I’m not sure that it is possible to purchase a pattern of this particular cosplay item so I am using what I have available. This McCall’s pattern is the closest that I have to the Peacekeeper vest. I need to modify the sleeves and the front panels. I also have to take away the bottom part and extend the length of the top by about 3 inches. If all goes well, Part 2 should look more like the final product and with any luck Part 3 will look and fit like the Peacekeeper vest that he is looking for. I decided that I wanted the colors to alternate for the front and back of the scarf, as well as from side to side. Obviously, I did not think it through completely, as this would result in a checkerboard type finish and not look at all like any of the Hogwarts merchandise already in existence, whether officially licensed or fan made. Plus, in my efforts to get the colors as close as possible to the tie that I had purchased, I ended up with a scarf that looks more like a sports ball fan item than a magical student fan item. So, I highly recommend that you follow the instructions as laid out by graverobbergirl if you are going to follow her tutorial. Don’t be like me and end up with a scarf that looks like it would be worn by someone who doesn’t even know what Quidditch is. Or do. I’m not your supervisor. Anyway, I did most everything as instructed by graverobbergirl, changing only the number of pieces that I cut out to give me equal numbers of each color. I had a 4×6 card that I was able to use as a pattern guide to cut out the majority of my pattern pieces. Once I had all my pieces cut out, all I had to do was sew them together in alternating colors. And, voila. A scarf that I didn’t even wear with my costume. Hey, they can’t all be wildly successful experiences. Sometimes things don’t turn out as planned. This has taught me that if I want my end result to look like someone else’s end result, then I probably shouldn’t change their pattern. EDIT: Apparently this entry didn’t get posted after I wrote it. I was probably planning on adding a picture of how the scarf turned out, but I no longer have the scarf in my possession, so that is unlikely to happen. If I am able to find an image, I will add it in the future. Thanks for reading! I like to use socks and bits of fabric to make little creatures. Usually, I will try to make something cute, and it will end up a little creepy looking. It will be completely unintentional. I will fully intend to make an owl, or a dog, or a cat. But I make the eyes just a little bit too big. Or the legs don’t come out quite right. Or everything turned out like it was supposed to, but something is just a little bit off about the whole thing. Over time, I have begun to embrace the fact that my sock creations will end up being a little creepy whether I intend for them to or not. And there are times like now, when I decide that I will make something creepy, just to make something creepy. One of my friends showed me a picture of Slenderman. I had not heard of this creature before they showed me the picture that they found so creepy. 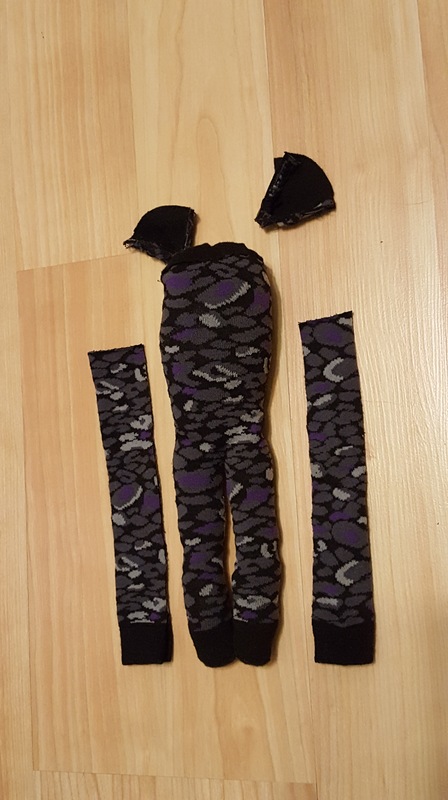 I had been in the middle of creating a sock creature, and they were reminded of Slenderman by my creation. By the time that creature was finished, it no longer looked like Slenderman, but the idea had been planted in my brain. 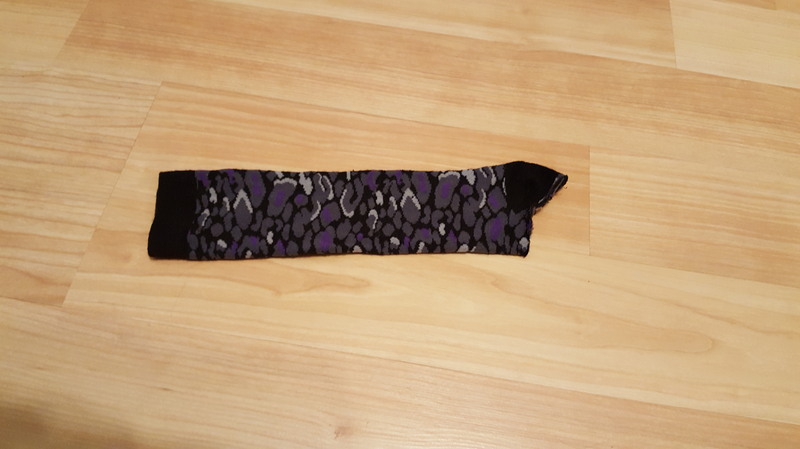 This one has already been used for something, but there is plenty of sock left for what I need. I sewed up the top for the head. Then I cut the bottom to create the legs, and sewed them up as well. Then I took the other sock and cut the really long arms. I also cut the heel of the second sock for the ears. I know part of what makes Slenderman so scary is the lack of face. 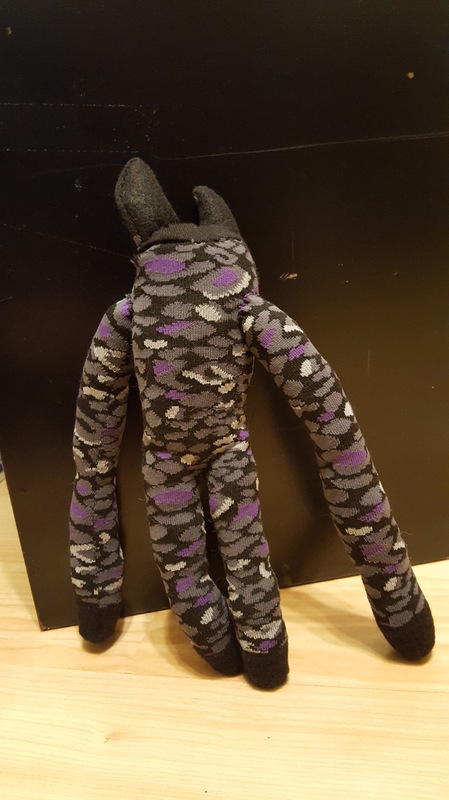 However, I am making a Slenderman inspired creature, not a Slenderman sock creature. One day I may make a creature wearing a little black suit, with a black tie, and without a face. Today is not that day. 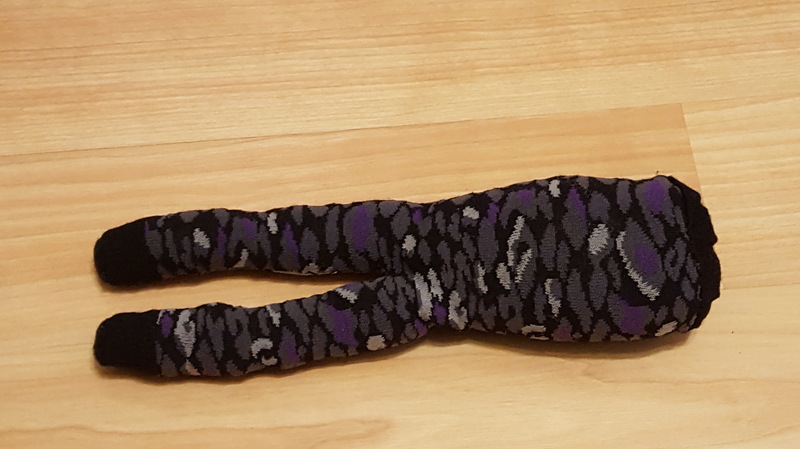 I sewed up the arms, stuffed them, and attached them to the body. Then I sewed up the ears and attached those as well. All that I have left is to create a face. Or not. I haven’t decided yet. The weather here has been very weird for January. 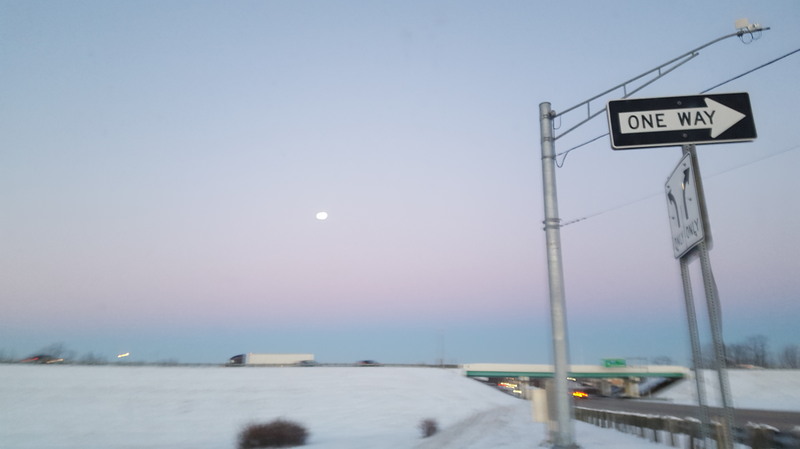 It had gone from cold and wintery, to warm and springlike, back to arctic and snow. It all just makes me want to stay in bed until spring really and truly arrives. Since I am unable to hibernate until March, I decided to at least let our kitties have a chance at staying comfortable as they can be while the pendulum of nature swings back and forth between winter and summer. 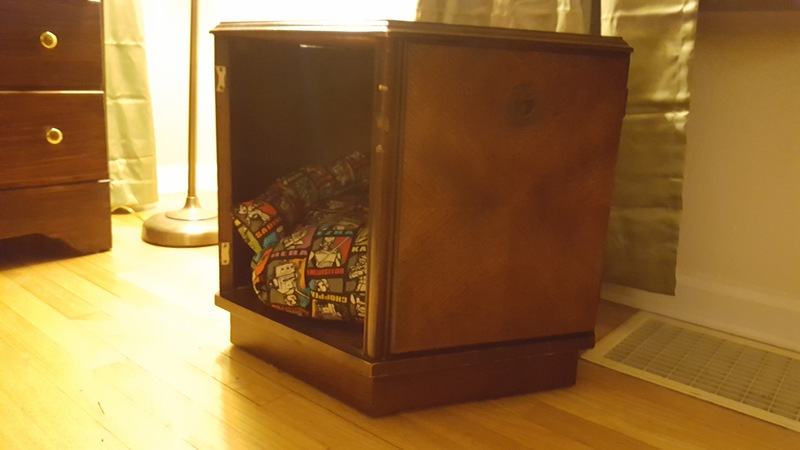 I sewed up a cat bed for another project I hope to get back to at some point during the summer. It was so easy to sew up and put together that I didn’t realize that I forgot to take pictures until I was done. So I did the only thing a cat owner can do – I made another one. Two cats means a minimum of two cat beds. Celebrating Ugly Christmas Sweater Day! December 16, 2016 was Ugly Christmas Sweater Day. Did you participate? What was once a gift people dreaded receiving has now become a reason to celebrate during the holiday season. There are many places selling sweaters specifically designed to be ugly, as well as sweaters that someone thought was cute, but isn’t quite suited to everyone’s tastes. As I have stated before, my coworkers told me that I would be Alice for our work Halloween party, because I have the hair for it. I knew that I had this pattern, and I knew that it would be perfect for an Alice in Wonderland apron. 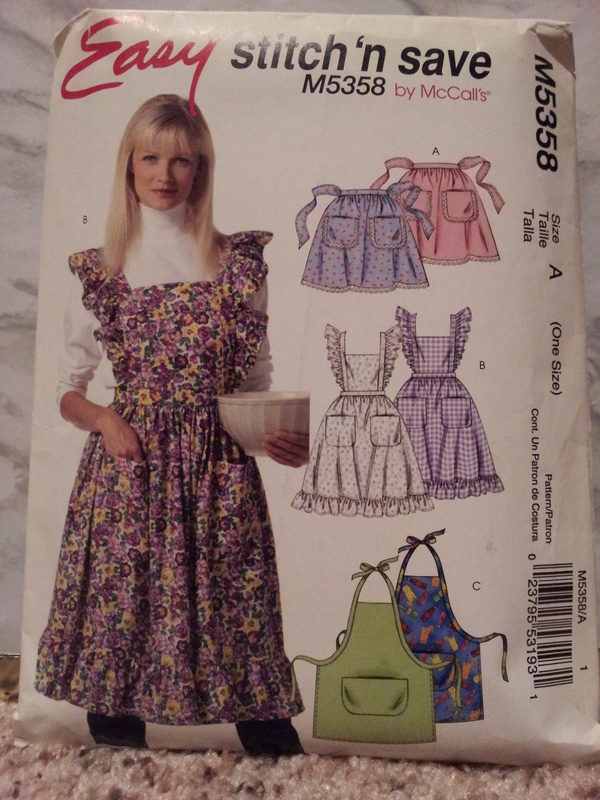 I was planning on using this pattern to make a pinafore for a long time. Now, I no longer had any reason to put off making it any longer. 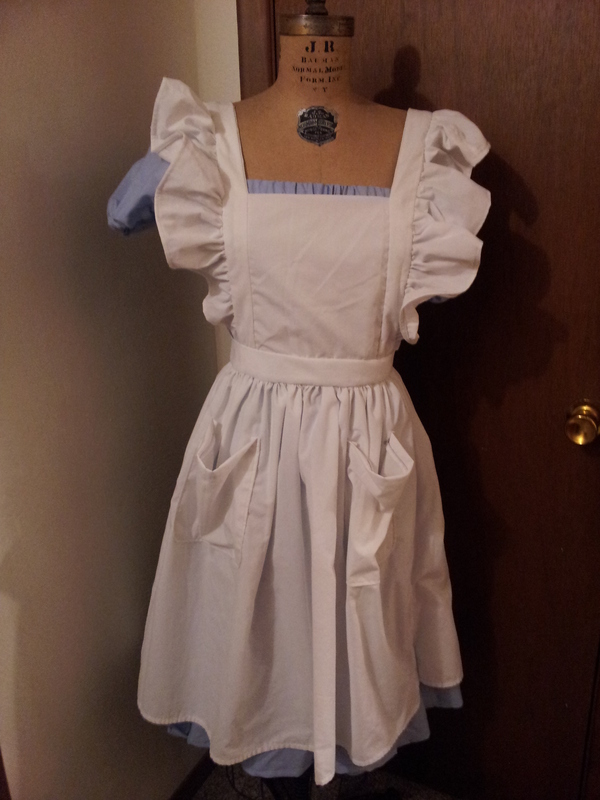 This is the first thing that I made for my Alice costume. I was expecting a super quick, really easy, beginner level sewing pattern. This is not a super quick, really easy, beginner level sewing pattern. The other aprons featured in this sewing pattern might be beginner level, but this apron is more along the moderate level of sewing capabilities. It uses things like button holes, narrow seams, gathering and basting stitches, and ruffles. I know, I know, ruffles can be used in beginner sewing patterns. This pattern just did not feel like a beginner level pattern. I’m glad that I started with it, because I started on the apron about a month before Halloween. I gave myself plenty of time and I took things slow. One day, I cut out the pattern pieces. Then I put everything aside and started construction the next day. Whenever I got to a point that was too frustrating or confusing, I just laid everything to the side and walked away. Sometimes I would come back to it in the same day. Other times, I would come back the next day. It all ended up working out in the end. 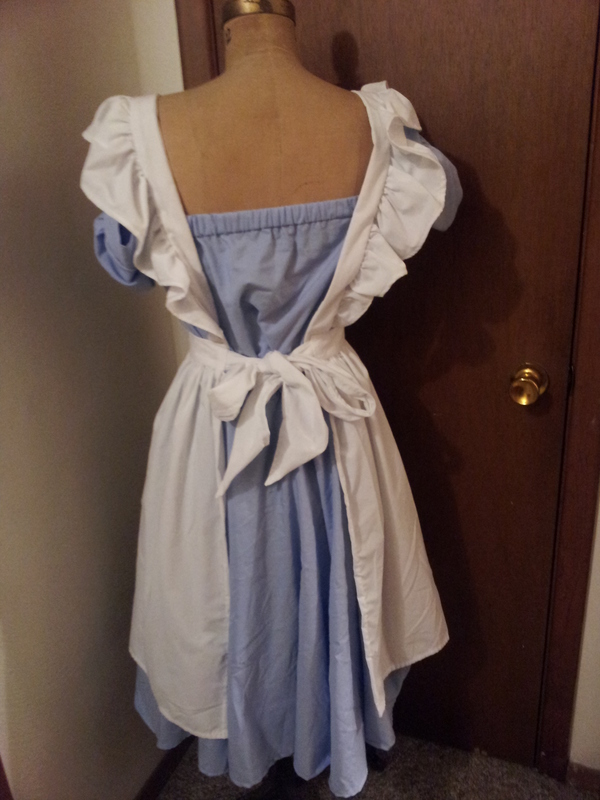 The only modification that I made was that I did not add the ruffle along the bottom of the apron. This ended up making me miss a step where I was supposed to hem the side and bottom of the bottom of the apron. As I have already said, it all ended up working out in the end. I was able to finish all of the edges, hide all of the seams, and make both the front and the back of the apron look good. I knew that the apron would be the main part of the costume that everyone would be able to see, so it was very important for it to turn out well, and it did. There were several people who did not believe that I had made my costume, because it did not look homemade to them. While I am very happy with how different pieces of the costume turned out, overall I think I could have done better. Maybe next year, my group will win first place instead of second! What do you recommend for four coworkers to dress up as for a work Halloween party?